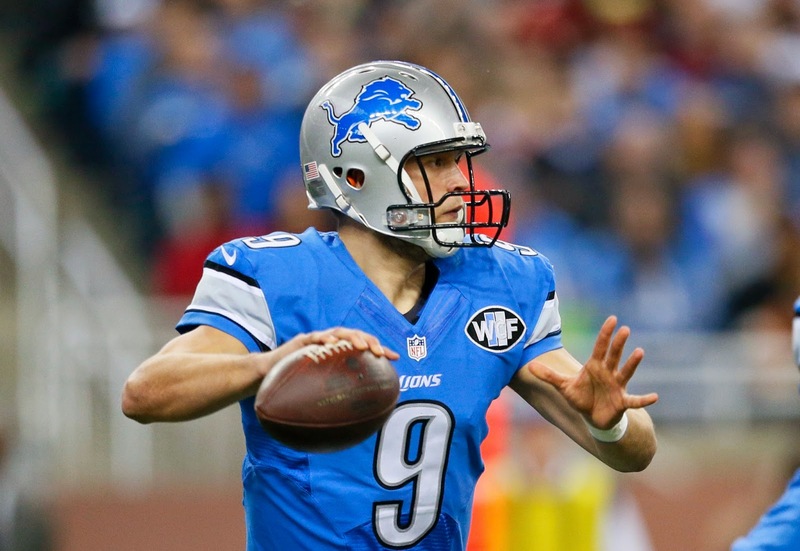 - Matthew Stafford is doing an excellent job of spreading the ball around today. Putting tight end Eric Ebron in the mix is a huge part of that equation. The middle of the field is going to be open against the Tampa 2 scheme the Bucs' deploy under Lovie Smith. The Lions need to continue taking advantage of it. - Golden Tate is a terrific player. What a compliment he is for Calvin Johnson. Today it is particularly noticeable. The Bucs are clearly confused defensively. - It should be 14-0 or 10-0 now right. It wasn't very creative play calling on the play going for it on fourth down in Bucs' territory. It was a long yard. The choice to run up the middle routinely wasn't the right one. The result speaks for itself. - You can make a strong case that Tampa Bay defensive tackle Gerald McCoy is actually a better player than Ndamukong Suh. But the one area Suh definitely holds the edge is durability. McCoy had to leave this game after the first series because of knee injury. Suh has been remarkably durable so far in his career. McCoy missed a lot of time earlier in his career because of injury.